If one satellite dish and two TVs, to get them to work from one of the "plates". But will either have to use two receivers or put up with the inability to watch one TV, one satellite channel, and the other two. Use receivers to connect two TVs. If one of the receivers has not only input but also output antenna connector (not to be confused with nest modulator for connection to TV's RF output), connect this Jack with a cable that is certified for the connection of satellite antennas receivers to the input Jack of the second receiver. We obtain a chain: the Converter is the first receiver or second receiver. Note that if you take the scrambled channels, you will have to buy two cards and pay the license fee for each of them. Also you cannot look at one receiver channels require vertical polarization, and the other requiring horizontal. You can use a splitter, also certified for use with satellite receivers and converters. 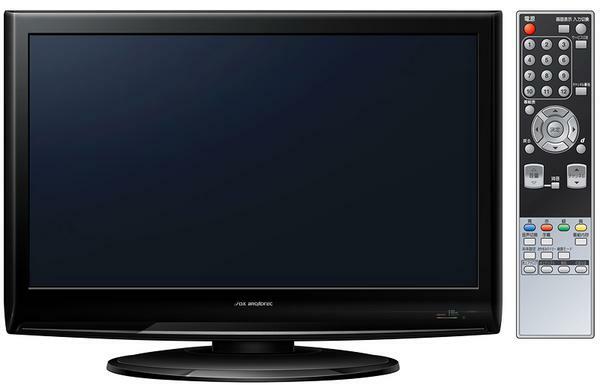 Normal television will not work - it does not pass the supply voltage required by the Converter, and the switching voltage of the polarization. This option imposes the same limitations as the previous one. And since additional hardware is required, apply it in the case if none of the receivers has an output socket to connect a second device. Install the two antenna Converter, and you will be able to connect one of them to one receiver and the other to another. To use them you will be able independently, but to send both units to the same satellite is impossible. Will have to watch the same TV channels from one satellite and the other from another. Card, if the coded channels, you will also need two, and the monthly fee make have both. Another connection method is to use a Converter with two outputs. One of them allows you to receive only channels with horizontal polarization, the other with only vertical. Both outputs of the Converter connect to the device called multiswitches. And multiswitch one to three receivers, TVs. Any of them can independently watch channels broadcasting at any polarization, but all required switching will automatically make multivits. But card for receiving encrypted channels will still need as much as receivers, and will have to pay for each of them. If you wish to provide one receiver and one card, and the receiver is equipped with a high-frequency modulator, connect the modulator output to two TVs through a splitter, designed for ground-based antennas. Both the TV set to a channel broadcast by the modulator. But now, if you switch the received channel on the receiver, it will be replaced at the same time on both televisions. You can also connect one TV at a low frequency (through the RCA connectors or SCART) and the second high - through the modulator. The result will be the same, but on the ground of the TVs will also independently take air TV channels by plugging in an indoor or outdoor antenna. And if you connect one TV to the receiver via SCART, and the second via RCA, then connect the antenna for reception of terrestrial TV channels, it will be possible to both vehicles. All switch do pre-de-energized equipment. There are special receivers, originally designed by the manufacturer for connection to two TVs. They allow no extra effort to independently watch 2 different programs at the same time. The receiver is equipped with an RF modulator. Two TVs. Low-frequency cable type "Tulip". Cable capable of maintaining signal in UHF (coaxial wire). Connect the first TV with the receiver via a low frequency cable type "Tulip" using the same connectors. 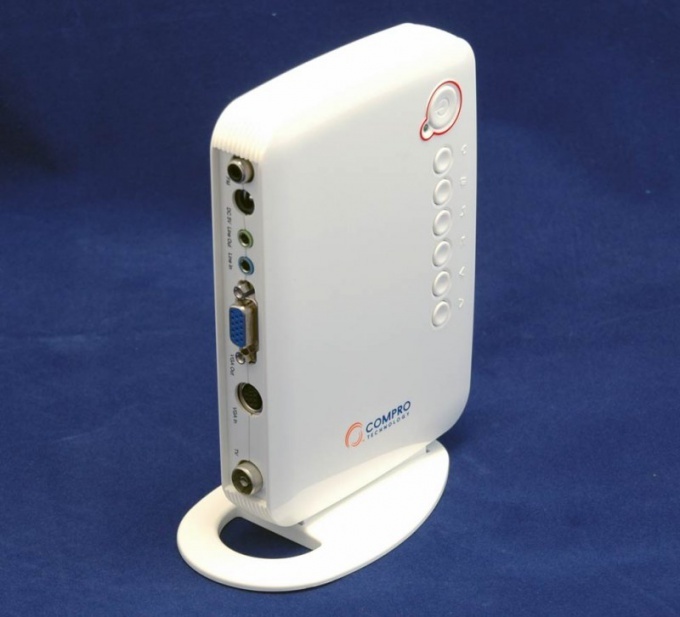 Connect the second TV via coaxial cable with the input RF modulator. To mitigate these shortcomings by increasing the number of channels on the second TV. To do this, enter the menu of the receiver and select the channel "UHF", for which there is no broadcasting channel. Put it on a second TV adder antennas. One input connect the conventional antenna and the other RF output of the receiver through a coaxial wire. Configure the channels on the second TV while the receiver, which, after saving the settings in the menu, appears the additional channel. The image quality is satisfactory. Unfortunately, this type of connection has the following disadvantages: Both TVs will show same channel. 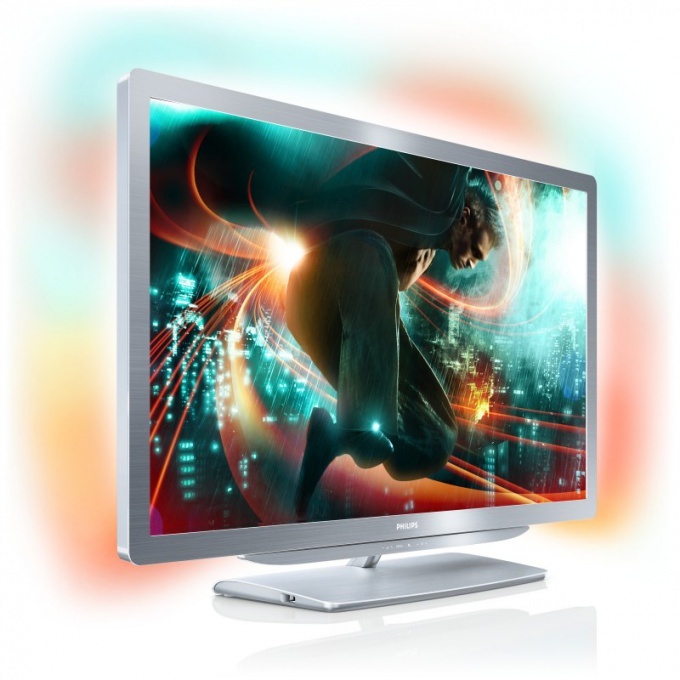 May reduce image quality on the second TV. The world has moved forward far enough. Before, only a few decades ago, the TV had only dreamed of. 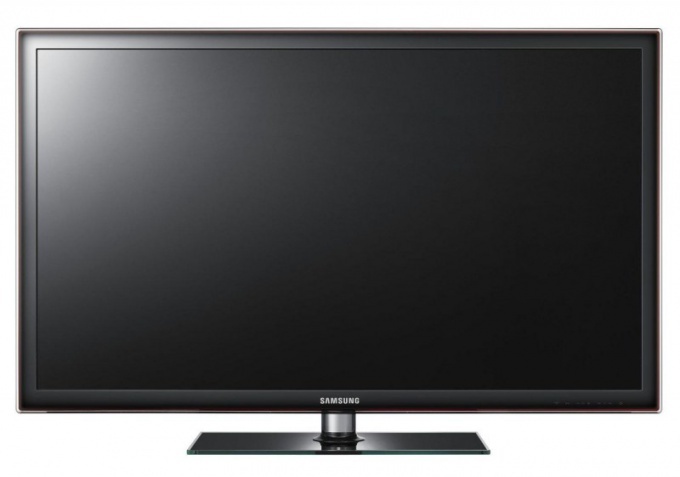 Today there is an opportunity to buy several televisions for one family. Every TV has certain characteristics making channels to broadcast. To take greater and greater number of channels allows satellite dish. 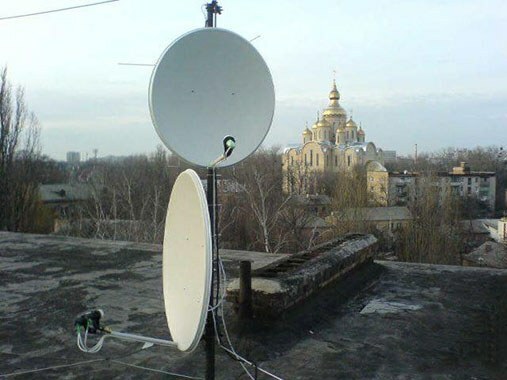 You can choose a package of channels, the conditions of transmission, the satellite connection for the antenna. In addition, today it is possible from one satellite dish to connect two TVs. To make such a connection independently with some fairly simple knowledge of electronics. Satellite antenna (dish), the Converter Ku band, receiver, cable and a choice of mounting plates, basic skills of working with electronics. When deciding how to connect two TVs to one satellite dish antenna is to determine the package of channels. One option may be the TRICOLOR. He broadcasts from the satellite Eutelsat W4 in good gear. Satellite antenna may be 60 cm diameter, offset type. Her antenna are arranged vertically. This allows you to take a good signal. The Converter range and the receiver are used for signal conversion. It moves from a higher frequency to a lower frequency. The solution of viewing the scrambled channels will require installation of additional hardware – decoder. The receiver connects directly to the TV through the antenna input. When selecting the cable particular attention should be paid to its quality. Not worth saving. It is from the high signal quality determines the amount of data loss. It is necessary to take into account the stream on TV. It can hold one or two connectors. The antenna is fitted with two tuner. The variant of the connection heads on the antenna. It should connect using "Switch" so-called DoppelgangeR to split the signal. He has usually one input from the antenna and two outputs for TVs. After all operations you can customize through the antenna satellite Internet. Its speed is much higher than usual. You need to pay attention not only to the manufacturer. A good solution would be to test the compatibility of the antenna, additional heads, receiver, tuner, and cable televisions. This will avoid disruptions in receiving and distribution of signals. The decision to choose to connect a satellite antenna to two TVs, you should carefully approach the selection of components parts to the whole structure. This is especially true of the antenna itself. If the house has two TV"s and one TV source, then connect in addition to cable, you will need additional materials. This manual will help you to connect two TVs to one antenna by using a special device - splitter signal. Purchase RF coaxial cable. Given that the TVs are likely to be located in different rooms, you will need a cable longer than 10 meters. Also buy a splitter. This gold-plated device that has one coaxial port at one end and two (or three) on the other. Take the necessary precautions because the installation of the antennas and the laying of the cable in the house may be associated with health risks. Choose a location to mount the antenna and install it. The higher it is placed, the better the reception. Connect the antenna and splitter RF coaxial cable. For connection, use only the incoming port at one end of the splitter. Connect the TV using outgoing ports on the other (free) end of the splitter. Secure the cables so as not to damage or step on them. Use electrical tape to secure cables. Turn on the TV to check the connection on each of them. 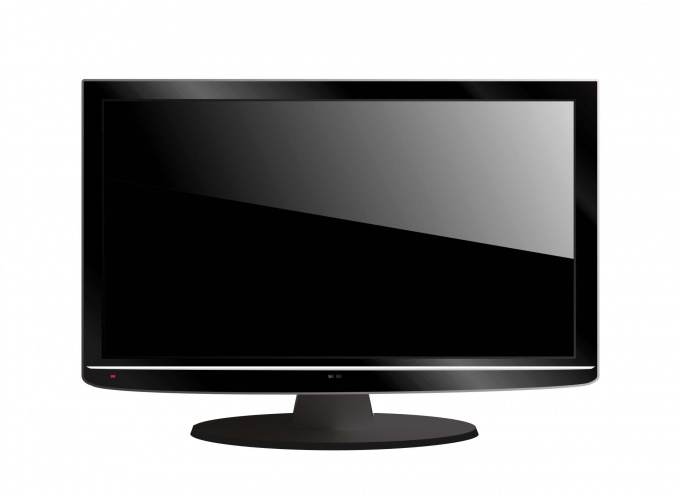 If one of the TV has bad reception, make sure that the cable is not damaged and securely fastened. Buy second splitter if more televisions than available ports on the first splitter. Connect the two splitters together by attaching a cable to one of the ports on the first and only inbound port on the second. Splitters can reduce the strength of the signal to pass through. 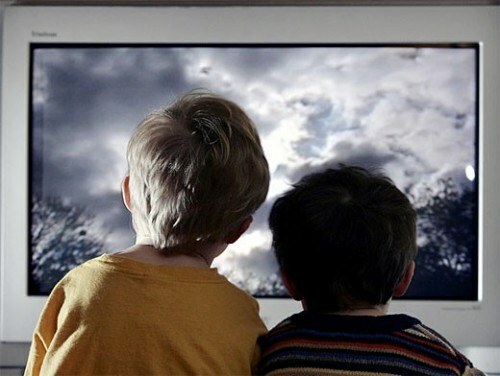 If one antenna is to be connected, for example, four TV's, require amplifiers-distributors to improve the quality of the image. Rarely any family in our days keeps the house only one TV. But the antenna usually has only one. To connect a single antenna to three televisions , a special device - the so-called CRAB. Purchase at the hardware store appliance CRAB (Cable Splitter Subscriber's Household), having one input and three outputs. Instead, you can buy the same branded splitter. Most common among them are Polish and German. Choosing a splitter, note the upper limit of its frequency range. Cable operators of today, often because of lack of space uses the high frequency channels of the UHF range. They are able to adjust not just the TV, and the producers of splitters on the existence of these channels can and not suspect at all. The boundaries of the frequency range is usually indicated on the appliance or in its instruction. Pass the wires from the TV to the place of installation. At the ends of all the cables from the TV set antenna plugs, but the TV do not connect them yet. It is very important that the plugs was not connected during the installation to any of their devices, otherwise you can hit by the current flowing through suppression capacitors of the power supplies. The place of installation select this to hold the cable from the antenna. Connecting cables to the Crab make depending on its design. Some of them have nests, designed for connecting ordinary plugs - then all cables should also be provided from the splitter plugs. Other devices (mainly German, firms Luxmann) equipped with screw jacks. In this case there is wear on the cable nut and then cleaned. Then insert the center core into the hole of the screw socket, then screw the nut so that the braid was pressed against the nut to the housing. The Crab classic design, remove the lid, after which, depending on the model, solder the braid and center conductors to appropriate contact pads or secure them with the screws. In all cases, connect the cable from the antenna to the input terminal or combination of terminals and the rest by the weekend. Connect the plugs to off of network TV (if they are connected with VCRs, iPods, and other devices and unplug them) and then turn them on again to the network. Make sure that a quality signal from the antenna is supplied to all three devices. Satellite television, in contrast to the usual ethereal, allows you to view on the new LCD and LED TVs with digital channels in HD quality. Thus, paint on the screen look realistic, and the picture allows you to create a "presence effect". 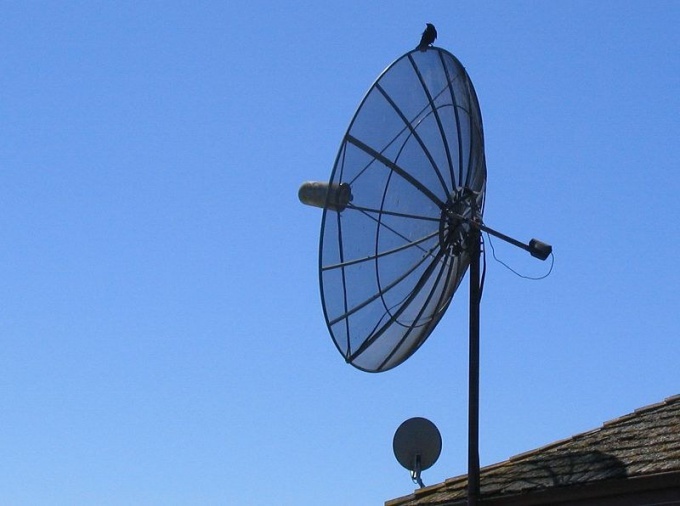 To be able to cover the entire spectrum of TV channels from all available satellites in orbit, you can apply or metacodes for satellite aerial, or to connect one receiver to two or more dishes at the same time. Install two satellite antennas. The most traditional variant: one "looks" to the West and has three heater – on satellite Amos 2/3 4W, Astra at 4.8 E(Sirius 5E) and HotBird 13E, the second towards the East, where the satellites ABS 1 75E, 80E Express AM2 and Yamal 201 90E. When installing them make sure that the brackets to which they are attached, or were horizontal (on the wall) or vertical (on the roof). In addition, before the antennas should not be tall buildings or tall trees that might block the satellite signal. Set the first "Western" antenna. To do this, connect the coaxial cable to the Central heater (Astra 4,8 E), and then into the slot receiver in LBN. Latest connect to a TV and tune to the channel that will show a satellite TV. Further, switching of TV channels switch the remote control receiver. Menu tuner, select the satellite Astra 4,8 E, if not – mount it manually. Install these settings transponder – 11766h27500, DiSEqC off. Put the antenna vertically and move to the right until it stops. Moving it to the left, catch the satellite signals and bring its power up to 80-90%. It will be seen at the bottom of the settings window. Fix the antenna in that position. Turn off the satellite receiver and connect the cable from the heater Amos2/3 4W. Adjusting the heater on the bar, set up for satellite. Also select the signal on the satellite HotBird 13E. Set up the same way the second antenna, since Express AM2 80E. At the same time to connect the two antennas to a single receiver, use an electronic device DiSEqC 8-1 (8 – inputs, 1 – output). Connect the coaxial cables from all six heaters to it, and the output cable to the receiver. Turn it on in the settings menu of the satellites "include" DiSEqC. Receiver scan all transponders six satellites and save the channels. In the same way you can connect three, four, etc. satellite dishes should only take a DiSEqC with a large number of inputs. Providers of satellite television and you can connect to one receiver two TV impossible. But this is not true. If you accept the fact that these devices will not be able to simultaneously watch different channels, such operation is feasible. Buy two segments of a shielded cable. At length they must match the distance from the receiver to the second TV. Unplug it from the receiver, both TVs, and all other connected external devices. Unplug both the cables of the TV collective antenna. Check the Pinout of the RCA connector: circular contact common wire, pin contact - entry or exit. Check the Pinout of the SCART connector: 3 - audio output 4 - ground audio 6 - audio input, 17 - ground video 19 - video out 20 - video input. Expand the connector body, connected to the output jacks of your satellite receiver. The first cable, connect in parallel the available connected to the audio output of the receiver and the first audio input of the TV. On the opposite side connect it to the audio input of the TV. The first video input of the TV, unplug from the outlet of the receiver, then reconnect, but not directly, but via 75 Ohm resistor. The second cable connect to the video output of the receiver, and also connecting it to the Central vein via 75 Ohm resistor. On the opposite side connect to a video input on the second TV. Close the housings of all connectors. Apply power to all devices. Power them on. On both TVs select those low-frequency inputs, to which the receiver is connected. The last setting for a particular channel, make sure you have picture and sound on both TVs. Accept the fact that you can change channels on the receiver can only one family member, in whose room it is installed. Or use a special factory or home-made device to transfer signals of remote control cable to another room. But then it may be unhappy to turn to him in whose room the receiver. Sometimes you can look at one of the TVs satellite channel, and the other essential. The possibilities of modern TV tuners are practically unlimited. They can be used to transmit different signals to several devices. It is very important to choose the right TV tuner to accomplish your objectives. When you select TV-tuner it is necessary to pay attention to several aspects. If you want to use this device in conjunction with modern LCD or plasma TVs, pay attention to the maximum resolution supported by the tuner. Confirm availability of digital data transmission channels, if required. To connect to the same TV-tuner, you can use splitter. Unfortunately, the device almost always has a negative impact on image quality. Select TV-tuner, having multiple channels of video output. It can be the following ports: S-Video, VGA, DVI, and even HDMI. Be sure to check the ability to connect two TVs to this model TV tuner. Connect selected TV tuner to AC current and connect it to the computer. Usually you can use the USB port. Connect the antenna cable to the appropriate connector of the tuner. Install the software supplied with the device. Run the program and configure the working parameters of the TV-tuner. Now connect the tuner to the TV. It will have to use different channels. If the selected device has two digital outputs (DVI and HDMI), then use them. This will save a high quality image. Turn on both TVs. Open the settings menu of each of them and go to "input Source". Specify the connector to which you connected the TV tuner. Connect the cable from the transmission audio signal to the corresponding ports on the TV. Note that most of these tuners can be used with computer monitors. Remember that the TV tuner needs to be permanently connected to the AC mains. To connect multiple TVs to one cable can be used different ways. Connectivity option depends on the ultimate goal of performing this connection. If you need to connect your TV to the same cable TV wire, then use a special splitter. This device is a kind tee, * branching coaxial cable. Connect one end of the splitter to the desired cable, and the remaining free slots connect with a TV using the right cables. If you are using a receiver for obtaining access to satellite TV, then purchase an additional splitter. A lot depends on which channel you choose to connect the receiver to the TV. Currently freely available, you can easily find the splitters ports, VGA and DVI. Connect the accessory cable coming from the receiver. Connect it to your TV. Remember that you can use additional adapters, allowing to connect the ports of VGA, DVI and HDMI together. Purchase any set of adaptors. Note that the use of these accessories significantly reduces the quality of the transmitted signal. Remember that under this option, connect the TV to a single cable, both devices will show a single channel. Use splitter port VGA or DVI to connect the TV to the same connector of the graphics card of the computer. In this case, both devices will be identical signal, which is not always convenient. The optimal solution is to use two types of connection. Connect the coaxial cable of a conventional antenna to both TVs by the method described above. Connect both devices to the receiver. This method will allow you the right time to switch the operating mode of the TV (receiver/antenna), thus providing you with the ability to select the desired channel. If you want to connect both TVs to satellite television, choose the company that installs their own single receiver serving the building or the entrance. If you have only one cable, but some TVsit's not a problem. You can resort to a small trick to use a single signal to multiple receivers. Purchase a special splitter to connect multiple TVs to one cable. Splitter is a kind of tee that splits the coaxial cable. Inspect the splitter. At one end it has only one socket, the other with several. In this one nest directly insert the cable. In the other, insert the prepared wire with the proper connectors to connect them to the TV. These wires you can do yourself or buy in any electronics store. Purchase an additional splitter, if you use the receiver to access satellite channels. Pay attention to which channel is used to connect the receiver to the TV. To connect multiple TVs to one cable, you will need a splitter with VGA or DVI. They are now very common, therefore, to acquire such a device is not difficult. As in the previous case, plug the source cable into the input socket of the splitter and its outputs run your wires with the appropriate connectors for televisions. Use adapter if needed. Ports DVI, VGA and HDMI can be connect using a special adapter. You can buy them in the right quantity and computerwide ports. Note that the use of the adapter significantly reduces the signal quality. Also don't forget that if you connect two TVs to one cable, both TVs will show same channel. You can also use the aforementioned splitters to connect the TV to the connector of the video card your personal computer. As in the previous case, both TVs will accept the same signal. If you require different TVs to view different channels, do the following. To each of the TVs in one of the connectors connect the coaxial cable of a conventional antenna. At the other end of the cable, which will follow from the splitter. If necessary, you will have the ability to switch between modes of reception channels antenna/receiver. If you connected a cable or satellite TV, then distribute the signal to multiple TV sets at once with maybe a splitter and RF-coaxial cable. Please contact the store of purchase and teleradiocentre RF coaxial cable. When buying, consider where it will be on TV, and what is the distance between them, the cable was easy to build. Pay attention to the condition of the cable, as it will depend on how well the TV will play the signal from the antenna. Buy and splitter (splitter), the device having one port for the antenna and two-three for TV sets. Don't buy a cheap splitter from unknown manufacturers, or may occur, the probability of circuit and, as a consequence, the failure of the entire system. Prepare for the laying of the cable. Unplug all unnecessary at the moment, the appliances, check the status of the transaction. If you want all of your installation work is not too conspicuous, lay the cable along the walls behind furniture. Furniture in advance to push, and after you lay the cable, gently push, to avoid damage. 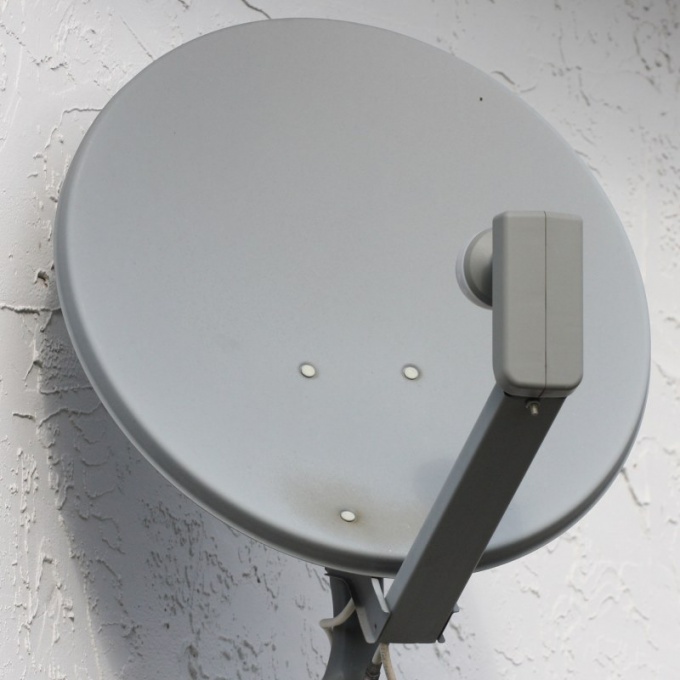 Select a location for the installation of conventional or satellite antenna. 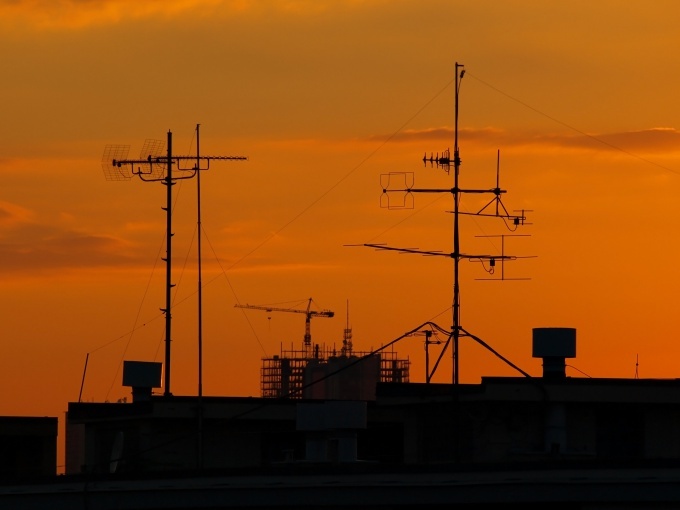 Put a regular antenna as high as possible, to ensure the quality of signal reception, connect the two satellite tuner. Connect the antenna to the splitter RF coaxial cable through the designated port. Connect TVs in series in the other ports. Attach the RF coaxial cable along the baseboard so not to step on it with electrical tape. Ensure that there is no likelihood of damage to the cable. Turn on the TV to check the signal quality. If one of the TV reproduces the picture of poor quality or does not work, check the cable along the entire length and verify that it is securely fastened and not damaged. 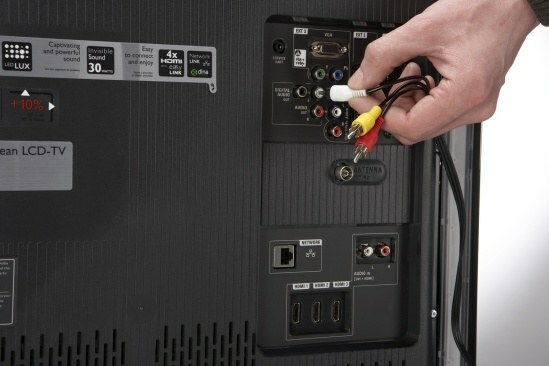 There are several ways to connect multiple TVs to one cable. Their implementation depends on which type of signal you use. At the moment the most common signals are satellite and cable. To connect multiple TVs to cable television, you'll need to perform some action. First, you need to purchase a splitter is a device whose purpose is the distribution of signal to multiple outputs. Resembles a tee to outlets, only for a coaxial cable. Using the tools connected the main cable to the tee and then the cable from the TV to the splitter. All inputs need to pinch with pliers, because it affects the signal quality. After the work done we get a signal on all televisions at each of them, you can watch different channels at the same time. The second method belongs to connect TV sets to satellite television. It's all much more complicated than the cable signal. Mainly, you will need to determine how you are connected receiver to your TV. At the moment, there are different types of connectors. The most popular are the type of ports VGA, DVI and HDMI. They are all different and connect the VGA cable to the HDMI port directly you will not succeed. It is possible to connect will need to buy the adapter, because the splitters that you require, there are only VGA and DVI ports. It should be noted that the use of the adapter significantly reduces the quality of transmission of picture and sound. To carry out this operation of the tools you'll need the same knife and pliers. Also when you connect two or more TVs to one cable satellite TV, all TV sets will show the same channel. 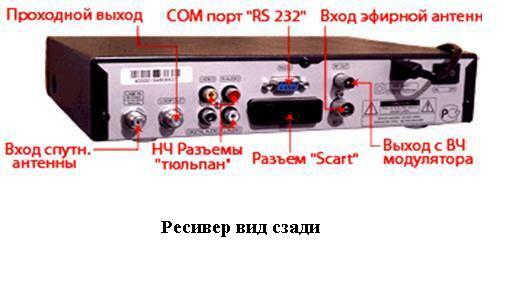 The best way in this case is to order a special receiver, which will output different channels to all connected TVs.